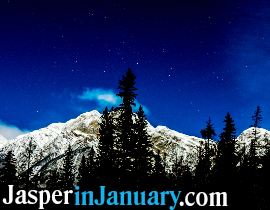 When: Jan. 11th, 18th, 25th - 2019, 7 p.m.
Immerse yourself and experience the star rich dark skies or moonlit skies of Jasper National Park and learn all about some of the nocturnal adaptations that help the animals of the park see in the dark. On cool clear nights we'll snowshoe a 2.5km loop. On chilly or windy nights the trip will be shortened to a 1km loop. If the temperature (with or without windchill) dips below -24C, the event will be cancelled. Dress warm and bring a flashlight. No snowshoes? No problem, you can borrow ours! Snowshoe quantities are limited, so please show up thirty minutes before the program starts if you want to borrow ours. 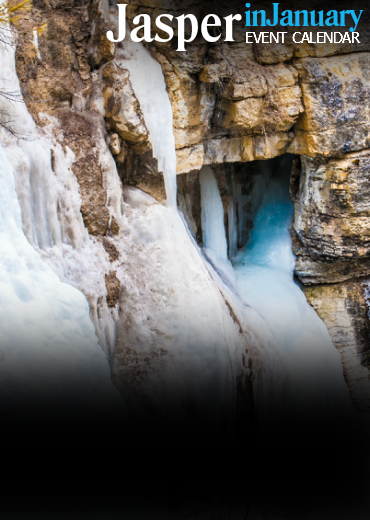 *All programs are free and offered by a Parks Canada Interpreter.